Order your copy of the Intermountain Jewish News’ 162-page large-size, commemorative 105th anniversary magazine*. The souvenir magazine focuses on the people who have led, built and characterized the Rocky Mountain West over the past 105 years. 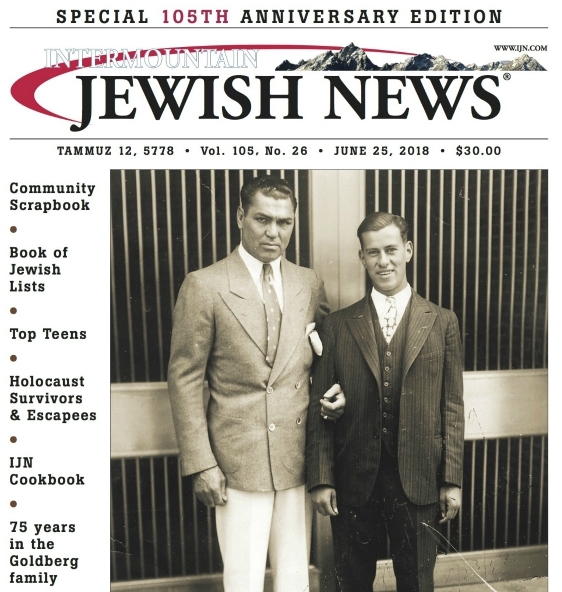 Sections include a comprehensive list of Holocaust survivors and escapees, an “IJN Cookbook,” “Top Teens,” a Book of Jewish Lists and a tribute to Max and Miriam Goldberg, the late publisher and editor of the newspaper, whose family has owned and published the IJN for 75 years since 1943.